The Indianapolis Star recently posted a video clip featuring the architects heading up the Lucas Oil Stadium construction project. Workers are just starting to install the stadium's 63,000 seats. Drum Corps International's 2008 World Championships will be the very first event to be held in the brand new state-of-the-art facility in August of 2008. Fans can already start thinking ahead to the summer when FANtastic 5 ticket packages for the '08 World Championships go on sale starting next week on Wednesday, Oct. 31. 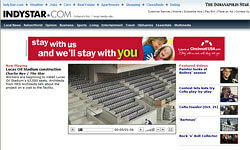 Watch the video on IndyStar.com. Learn more about the 2008 World Championships. 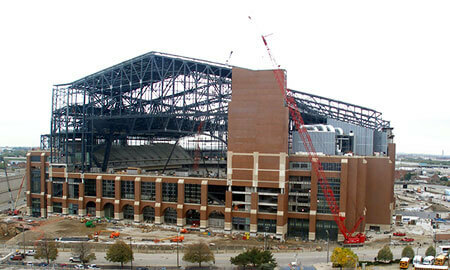 Lucas Oil Stadium construction progress as of Oct. 25, 2007.